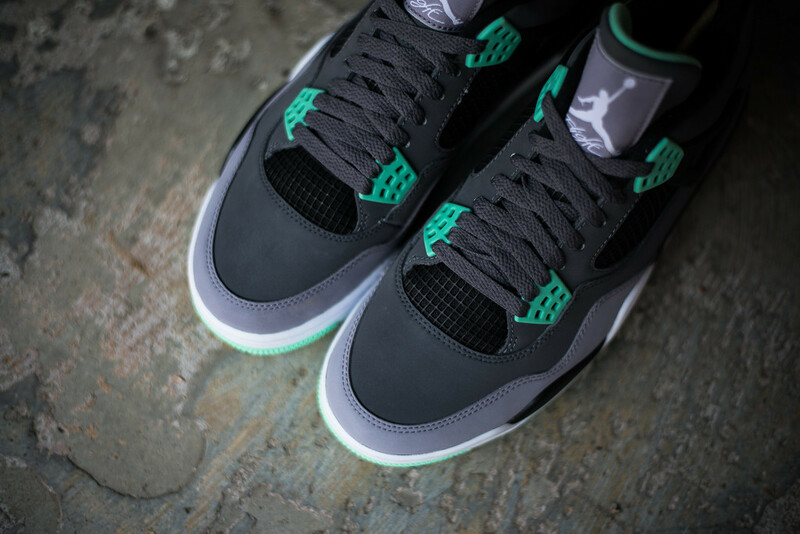 We're provided with our best look yet at this weekend's release of the "Green Glow" Air Jordan 4 Retro. 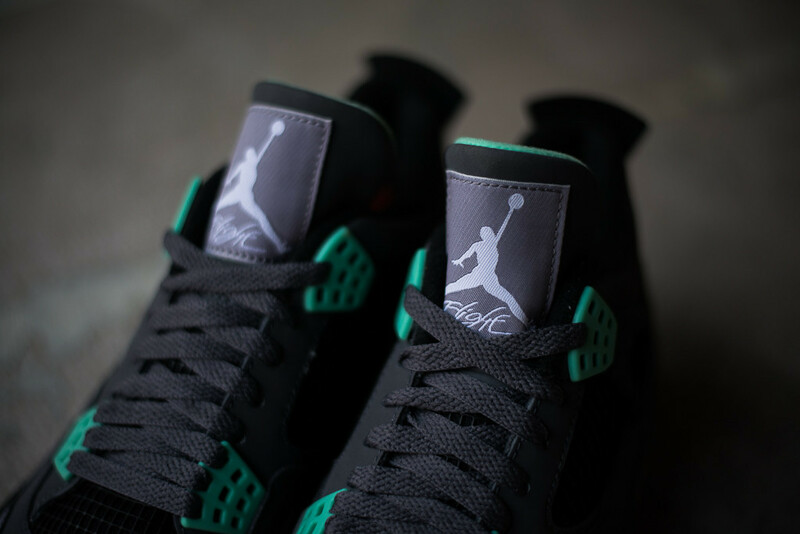 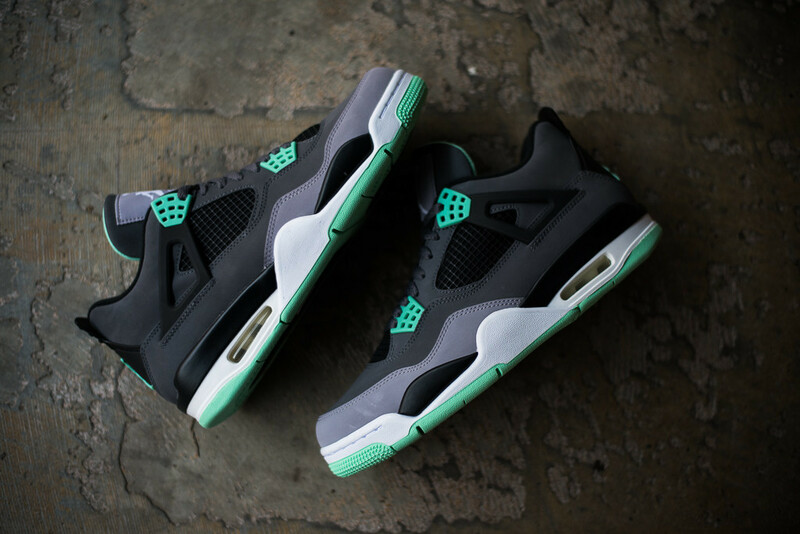 The new look Air Jordan 4 Retro has already captured the attention of countless Jordan fans with their unique mint accents creating an eyecatching glow-in-the-dark illusion. 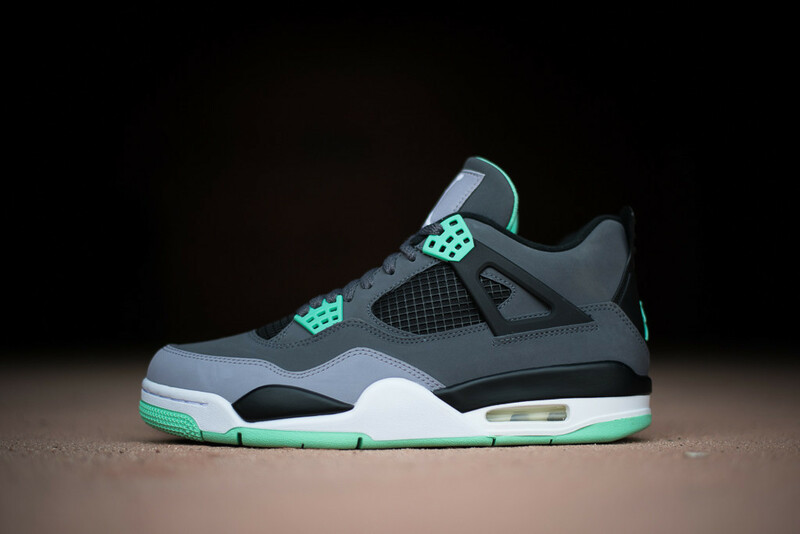 A combination of grey and black covers the AJ 4's classic upper, while "Green Glow" hits the eyelets, tongue lining, Jumpman branding and outsole sitting below. 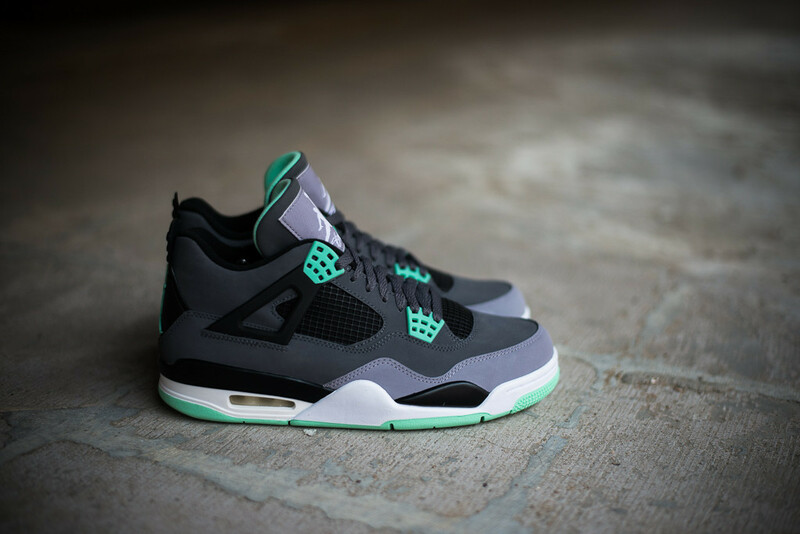 The "Green Glow" Air Jordan 4 Retro is set to release This Saturday, August 17 at select Jordan Brand accounts such as Sneaker Politics.